"I'm really at a point where we're getting very close to having the Cabinet and other things that I want," Trump said after Tillerson was fired. Washington, United States: US President Donald Trump has decided to replace his national security adviser, H.R. 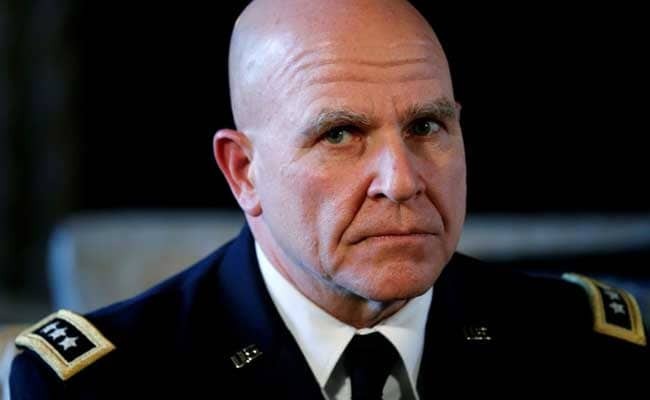 McMaster, but the move is not expected to be made immediately, the Washington Post reported on Thursday. Citing five people with knowledge of the plans, the Post said Trump was considering several possible replacements, including former US Ambassador to the United Nations John Bolton and Keith Kellogg, the chief of staff of the National Security Council. On Tuesday, Trump fired Secretary of State Rex Tillerson and the president has signaled in recent days that a shake-up at the top levels of his administration was not over. "I'm really at a point where we're getting very close to having the Cabinet and other things that I want," Trump told reporters after Tillerson was fired. McMaster is Trump's second national security adviser, succeeding Michael Flynn who was dismissed a year ago for misleading Vice President Mike Pence about his contacts with the Russian ambassador to the United States.